The Irene Taylor Trust is celebrating 21 years of its work in prisons (Music in Prisons) and now also in the community with ex-prisoners (Sounding Out) and young people in challenging circumstances (Making Tracks) with an exciting and eclectic evening of live music at London’s Union Chapel on 22nd November 2016. 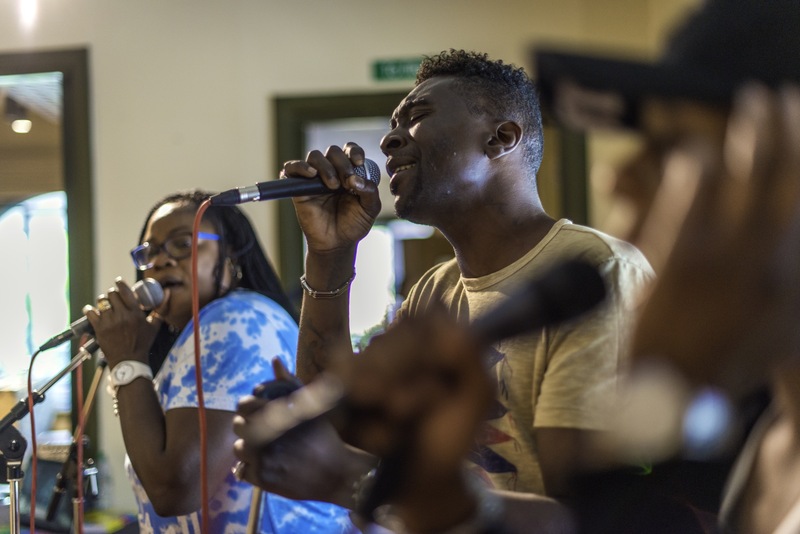 The evening will feature performances from Sounding Out ex-prisoner band Platform 7 and Making Tracks participants, alongside special guests including Mercury Prize winner Speech Debelle, and Chaps Choir singing Music in Prisons songs, hosted by Guardian journalist Tim Dowling. The centrepiece of the celebration is a new piece of music and film, Bridges; the music was created by participants from Music in Prisons, Sounding Out and Making Tracks in collaboration with contemporary composer Mark-Anthony Turnage; the accompanying film by artist Lizzie Coombes and filmmaker Andy Wood captures the three groups during the creative process. Mark-Anthony Turnage has also re-orchestrated Bridges for a world exclusive one-off live performance by an ensemble of Royal Academy of Music musicians that is not to be missed.